Hundreds more women in Sheffield will benefit from the ‘astonishing’ power of water during labour thanks to a £300,000 appeal backed by The Star. Three new birth pools will soon be available at Sheffield's Jessop Wing to meet the growing demand from mums-to-be, after the fundraising campaign hit its target. But the appeal made such a big splash, the unit will soon boast three new hi-tech pools, complete with their own sound systems and dimmable LED lighting. Two of the new pools - one of which replaced the existing one - are already in place, and the third is due to be installed imminently. But a £25,000 donation from the League of Friends has helped Sheffield Hospitals Charity hit its £300,000 target just under a year after launching the appeal to pay for new pools with The Star’s backing. 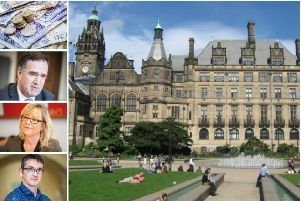 Sarah Lees, from the League of Friends, said: “The League of Friends has always supported the people of Sheffield and the charitable work of all of the city’s adult hospitals.